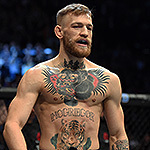 SI.com's Jeff Wagenheim gives his monthly pound-for-pound rankings in mixed martial arts as well as divisional breakdowns. The heftiest prize in the fighting world always has been the heavyweight championship. Traditionally, the glamour and glitz grow in proportion to the pugilist. 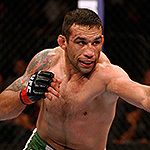 So it looked like we had something special on our hands this coming weekend when the new champ, Fabricio Werdum, was scheduled to face the man he dethroned via chokeout last June, Cain Velasquez. But it all fell apart less than two weeks ago when Velasquez pulled out of the fight, citing a back injury. The UFC made some tart lemonade by immediately inserting Stipe Miocic as a replacement, but within a day, a banged-up (and unwilling) Werdum had bowed out as well. Disaster for the UFC? Well, the behemoth fight promotion certainly didn’t love losing its biggest heavyweight fight in years. However, the heavies had long ago been surpassed, in terms of fan appeal, by much smaller men (Conor McGregor) and women (Ronda Rousey). And the wheels keep on turning. 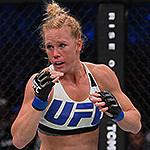 So do the SI.com mixed martial arts fighter rankings. 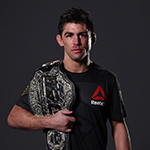 The pound-for-pound Top 10 has only one change from last month: Dominick Cruz is back, after ending an insanely long absence from the octagon by recapturing the bantamweight belt from T.J. Dillashaw. And we’ll soon be seeing two Top 10 champions square off, when new featherweight king McGregor steps up to challenge Rafael Dos Anjos for the lightweight strap early next month. Big doings by not-so-big fighters. By becoming the first fighter to submit former No. 10 Josh Barnett, Rothwell opened some eyes on Saturday night. If only he could have opened some doors, too. But there’s gridlocked traffic ahead of “Big Ben,” as all three heavies ranked higher are in a holding pattern—after Velasquez pulled out of his challenge of Werdum, Miocic was inserted as a replacement, then Werdum pulled out as well. No word on what’s next, but with Cain on the shelf, a rescheduled Werdum vs. Miocic sounds like a plan. “Bones Knows,” said the old Nike slogan. 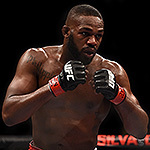 But the word on Jones actually is “no’s”—as in, no date yet set for his rematch with Cormier (a.k.a. his re-coronation), and no-go for the tentative April date at Madison Square Garden after the UFC once again took one on the chin courtesy of New York politics. But Jones vs. Cormier is the fight, whenever. And it looks like “Rumble” Johnson is next, after Saturday’s KO of a rising Bader. Rockhold couldn’t wait to grab the title belt. How long will he have to wait to defend it? Yoel Romero appeared poised for a grab at the golden ring, but the U.S. Anti-Doping Agency had other ideas. And now the Cuban is gone from the UFC rankings (and these, too). So who gets to take a whack at the piñata? Souza lost his last fight (to Romero), and he already has Belfort as a May dance partner. 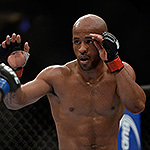 Silva is back, but he has a date later this month with Bisping. It could be that Weidman, who took 88 unanswered punches at one point in the beatdown Rockhold handed him back in December, will get a chance at redemption. Can Hendricks win his two fights this coming weekend? Yes, two—one with the scale at Friday’s weigh-in, then one with Thompson on Saturday night. In order to be considered a serious welterweight contender, “Big Rigg” has to show he’s a welterweight. 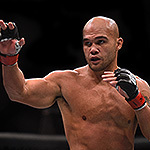 He’ll need a high-test performance to jump ahead of Woodley in the queue for a shot at Lawler. There’s been some shuffling, most notably the reappearance of Nurmagomedov (out since April 2014, now scheduled to face Ferguson in April). Yes, he’s No. 2, even though he beat No. 1, because it’s been a long layoff, and who knows if he has some Dom Cruz in him? But the real story in this division comes from outside of it, specifically next month’s bid by new featherweight kind Conor McGregor to grab a bigger belt. It’s pretty inspiring to see Cruz at the top of this list and also in the pound-for-pound Top 10. A third fight with Faber could be up next, and that means we will be treated to not just a display of his singular physical functioning but also his strong mind for the game. 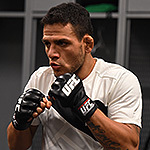 MORE MMA: Anjos stops Cerrone to retain belt; Is McGregor next? This was last month’s assessment of Cejudo here: “Is it too soon in his MMA career—10 fights, four in the UFC, in less than three years—for the 2008 Olympic wrestling gold medalist to fight the champ? Maybe. But he appears to be next in line, so he’d better be ready.” Nothing has changed. Let’s book this thing. MORE MMA: Does Conor McGregor have too much power in UFC? Let’s just say the announcement a new season of The Ultimate Fighter doesn’t elicit from me the hoped-for enthusiasm. But at least we can plan for a summertime clash between coaches Jedrzejczyk and Gadelha.